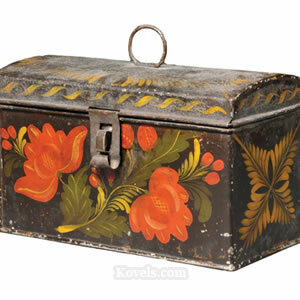 Tole is painted tin. 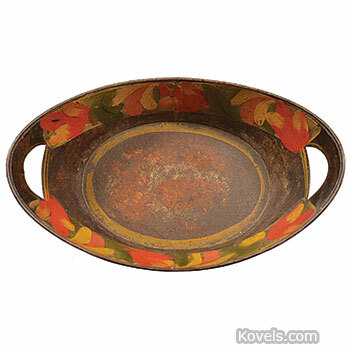 It is sometimes called japanned ware, pontypool, or toleware. 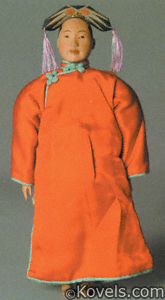 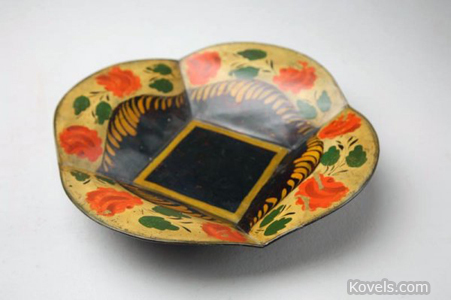 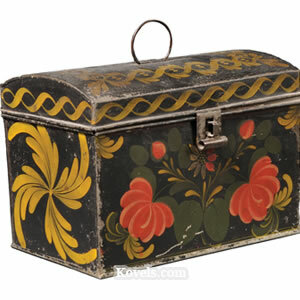 Most nineteenth-century tole is painted with an orange-red or black background and multicolored decorations. 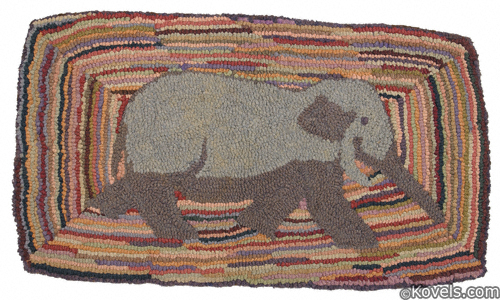 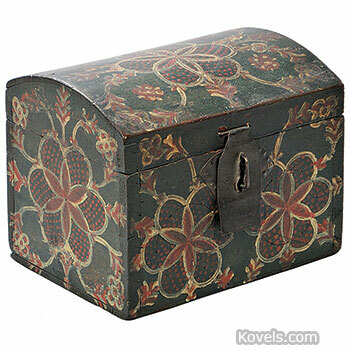 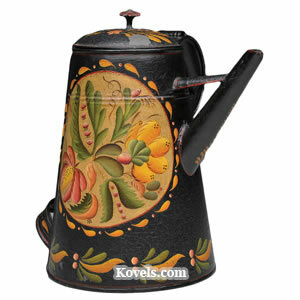 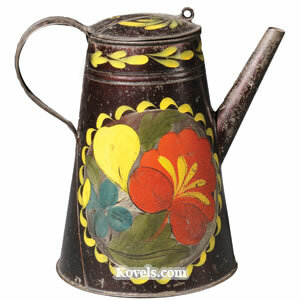 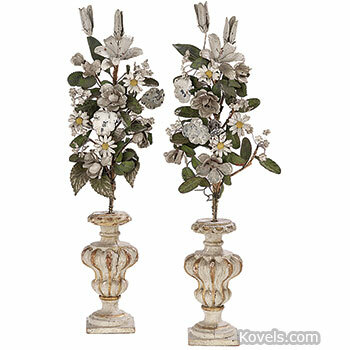 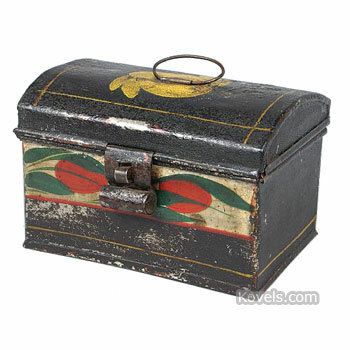 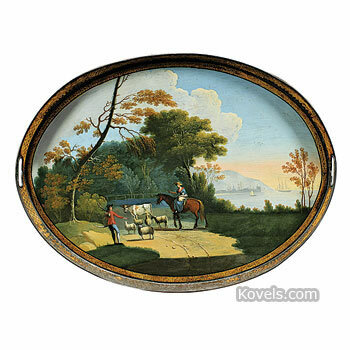 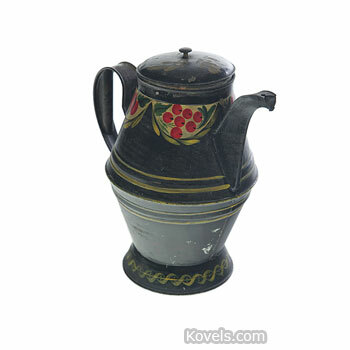 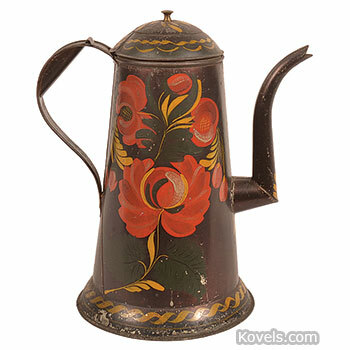 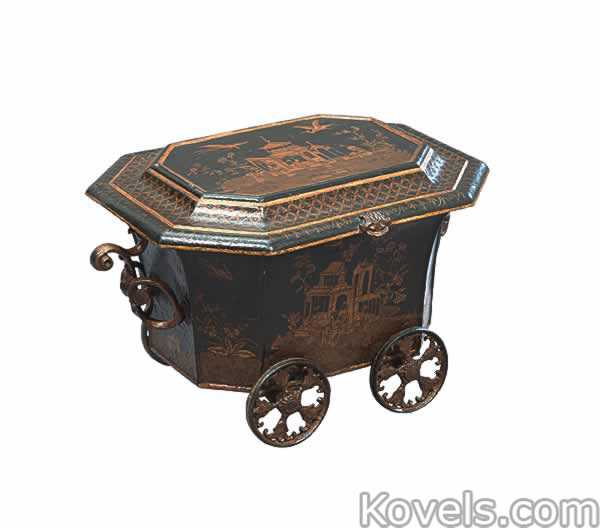 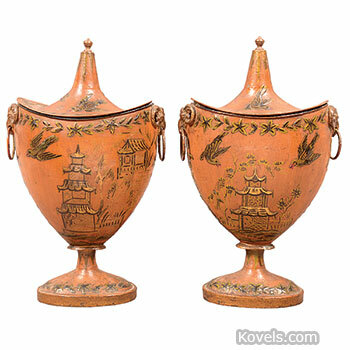 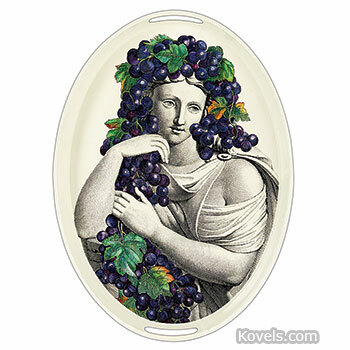 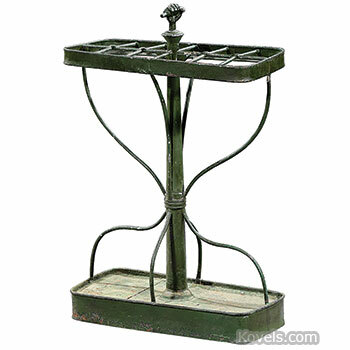 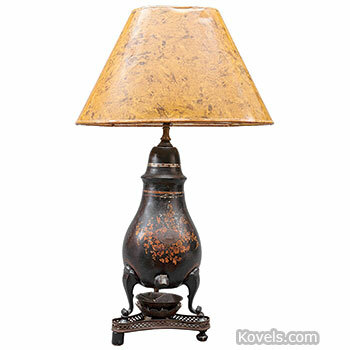 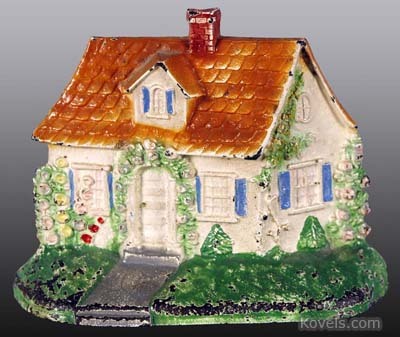 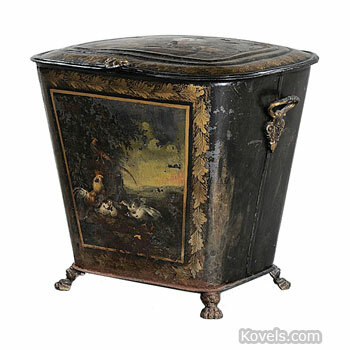 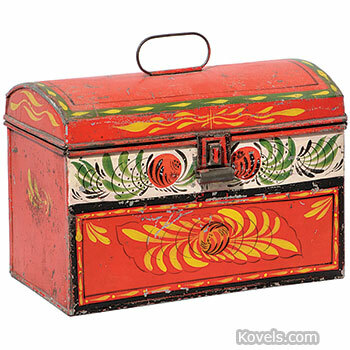 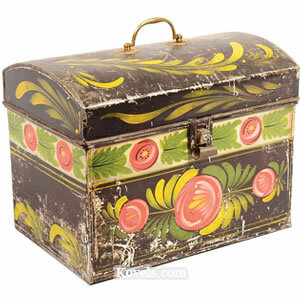 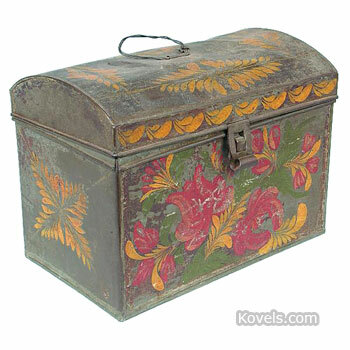 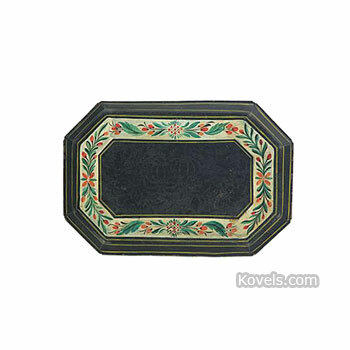 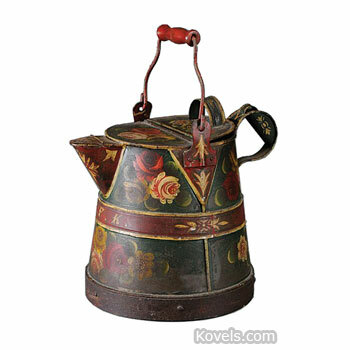 Toleware usually has a black varnished background and hand-painted or stenciled designs. 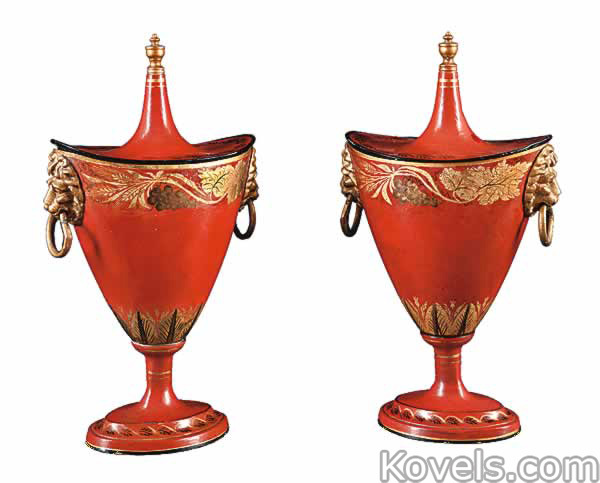 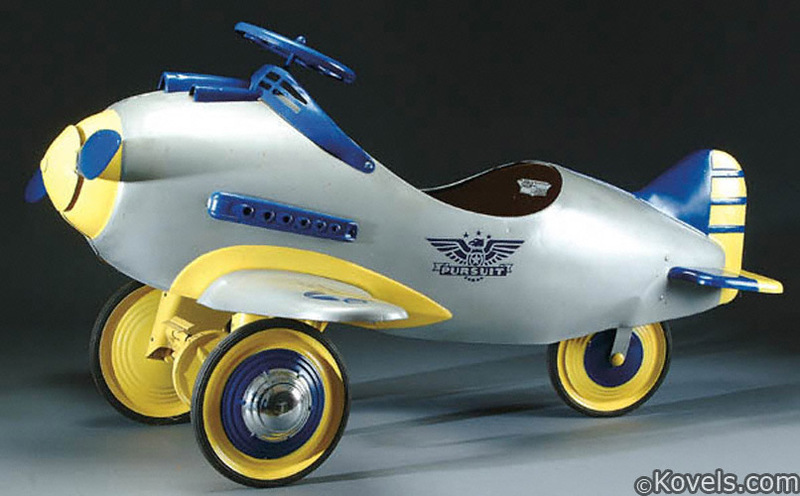 Many recent versions of toleware are made and sold. 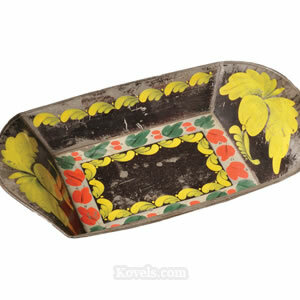 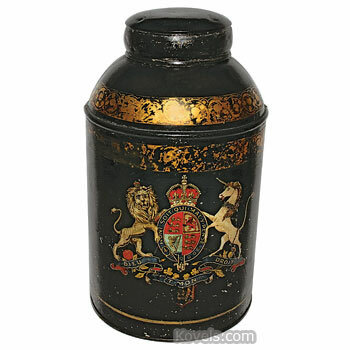 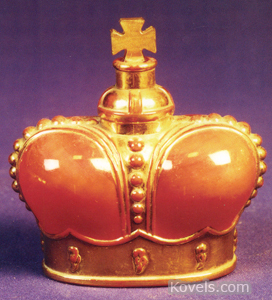 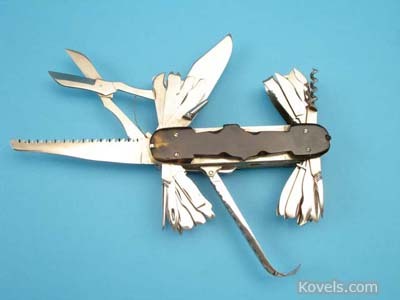 Related items may be listed in the Tinware category.